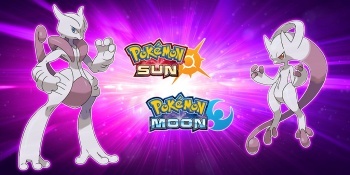 For a limited time, you can get the items needed to evolve Mewtwo into Mega Mewtwo in Pokemon Sun and Moon. While Mewtwo can't be caught in the Alola region right now, these items will work with any Mewtwos that you have transferred over from prior games using Pokemon Bank. Nintendo haven't stated how long this event will run for, but it will only be a limited time.